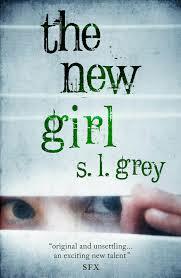 Another New Release: SL Grey's "The New Girl"
Don't mess with the creepy new girl Ryan Devlin, a predator with a past, has been forced to take a job as a handyman at an exclusive private school, Crossley College. He's losing his battle to suppress his growing fascination with a new girl who seems to have a strange effect on the children around her. Tara Marais fills her empty days by volunteering at Crossley's library. Tara is desperate, but unable, to have a baby of her own, so she makes Reborns - eerily lifelike newborn dolls. She's delighted when she receives a commission from the mysterious 'Vader Batiss', but horrified when she sees the photograph of the baby she's been asked to create. Still, she agrees to Batiss's strange contract, unaware of the consequences if she fails to deliver the doll on time. Both Tara and Ryan are being drawn into a terrifying scheme - one that will have an impact on every pupil at Crossley College. Sounds creepy. 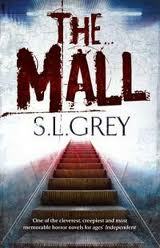 I think I might be pre-ordering this one. 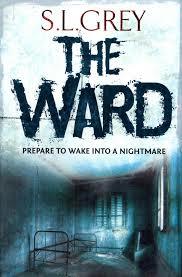 They're first two books were The Mall published in 2011 and The Ward published in 2012.